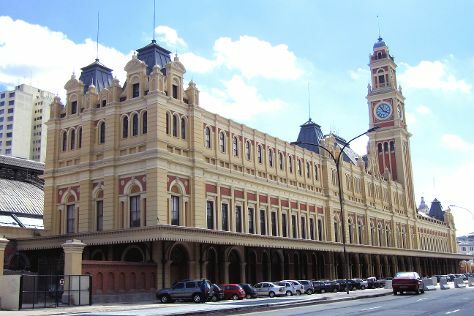 Start off your visit on the 20th (Mon): don't miss a visit to Praca da Liberdade, indulge your taste buds at Mercado Central de Belo Horizonte, then admire the striking features of Igreja Sao Francisco De Assis, and finally enjoy some diversion at Estadio Governador Magalhaes Pinto. To find more things to do, traveler tips, ratings, and more tourist information, use the Belo Horizonte itinerary maker website . If you are flying in from Brazil, the closest major airport is Tancredo Neves International Airport. Expect a daytime high around 30°C in May, and nighttime lows around 20°C. Cap off your sightseeing on the 20th (Mon) early enough to travel to Sao Paulo. To see more things to do, other places to visit, reviews, and tourist information, read Sao Paulo trip itinerary maker . You can do a combination of bus and flight from Belo Horizonte to Sao Paulo in 4 hours. Alternatively, you can do a combination of bus and flight; or drive. Traveling from Belo Horizonte in May, you will find days in Sao Paulo are a bit cooler (26°C), and nights are about the same (18°C). On the 20th (Mon), you'll travel to Lima. Lima is known for parks, historic sites, museums, shopping, and nightlife. Your plan includes some of its best attractions: ponder the design of Plaza de Armas (Plaza Mayor), take in the architecture and atmosphere at Iglesia y Convento de San Francisco, explore the ancient world of Huaca Pucllana, and take in the spiritual surroundings of San Pedro Church (Iglesia de San Pedro). For other places to visit, traveler tips, reviews, and more tourist information, refer to the Lima online itinerary planner . Do a combination of bus and flight from Sao Paulo to Lima in 8.5 hours. Alternatively, you can drive; or take a bus. The time zone difference moving from Brasilia Time (BRT) to Peru Time (PET) is minus 2 hours. In May in Lima, expect temperatures between 26°C during the day and 21°C at night. Wrap up your sightseeing on the 25th (Sat) early enough to travel to Cusco. On the 25th (Sat), pause for some serene contemplation at Iglesia De Santo Domingo, then contemplate the long history of Plaza de Armas, and then explore the ancient world of Sacsayhuaman. Get ready for a full day of sightseeing on the 26th (Sun): pause for some serene contemplation at Cusco Cathedral, then get engrossed in the history at Museo de Arte Precolombino, and then admire the landmark architecture of Centro Historico De Cusco. To find where to stay, maps, photos, and more tourist information, use the Cusco trip builder . You can fly from Lima to Cusco in 2 hours. Other options are to drive; or take a bus. Traveling from Lima in May, you can expect nighttime temperatures to be colder in Cusco, with lows of 4°C. Finish your sightseeing early on the 27th (Mon) to allow enough time to travel to Machu Picchu. On the 27th (Mon), explore the ancient world of Santuario Historico de Machu Picchu and then explore the ancient world of Intipuncu. Get ready for a full day of sightseeing on the next day: delve into the distant past at Winay Wayna, then don't miss a visit to Plaza Manco Capac, then take in the architecture and atmosphere at Iglesia Virgen Del Carmen, and finally witness a stunning natural landmark at Hot Springs (Aguas Calientes). To find photos, maps, reviews, and more tourist information, you can read our Machu Picchu trip itinerary planner. Traveling by combination of bus and train from Cusco to Machu Picchu takes 3.5 hours. Alternatively, you can take a train; or drive. Cap off your sightseeing on the 29th (Wed) early enough to travel to Cusco. 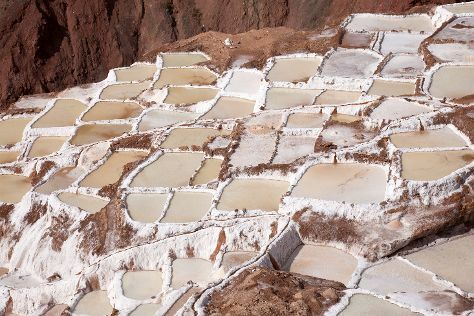 Explore Cusco's surroundings by going to Salinas de Maras (in Maras) and Pisac (in Pisac). On the 1st (Sat), spend a fun day on foot with Walking tours. Enjoy Cusco some more: delve into the distant past at Sacred Valley of the Incas, wander the streets of San Blas, get engrossed in the history at Museo Inka, and identify plant and animal life at Santuario Animal de Cochahuasi. To find traveler tips, other places to visit, where to stay, and other tourist information, use the Cusco trip itinerary planner. You can do a combination of train and bus from Machu Picchu to Cusco in 3.5 hours. Alternatively, you can take a train; or drive. Cap off your sightseeing on the 2nd (Sun) early enough to travel to Sao Paulo. On the 4th (Thu), explore the world behind art at Museu de Arte de Sao Paulo Assis Chateaubriand - MASP, then take a stroll through Paulista Avenue, and then stroll around Ibirapuera Park. Keep things going the next day: explore the world behind art at Pinacoteca do Estado de Sao Paulo and then see the interesting displays at Museu da Lingua Portuguesa. To see where to stay, traveler tips, reviews, and tourist information, you can read our Sao Paulo trip itinerary builder app . Getting from Cusco to Sao Paulo by flight takes about 10.5 hours. Other options: drive; or take a bus. The time zone changes from Peru Time to Brasilia Time, which is usually a 2 hour difference. Plan for much hotter nights when traveling from Cusco in July since evenings lows in Sao Paulo dip to 15°C. Finish your sightseeing early on the 5th (Fri) so you can travel back home.